A special thank you to RWM for sponsoring this event. 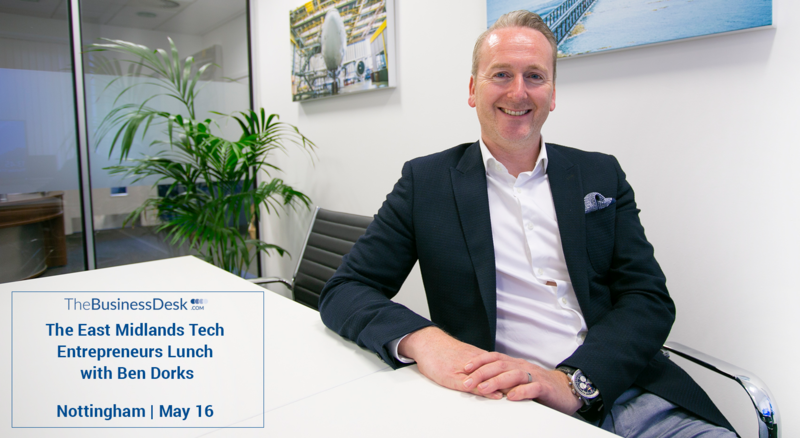 TheBusinessDesk.com is delighted to welcome Ben Dorks, the chief executive of listed Nottinghamshire software giant Ideagen PLC to its East Midlands Tech Entrepreneurs Lunch. Ideagen, which has its headquarters in Ruddington, is one of the UK’s fastest growing global software organisations with over 500 employees. Ben is one of the new wave of CEOs that have come through from a sales background. At Ideagen he has a sales and marketing team of 100-plus and has set up a leading sales excellence academy. He has over 15 years’ management experience helping companies fast-track their growth strategy and has also started and exited his own business. Ben will talk about building a tech business, the road to exit, the challenges and opportunities of heading up a listed company and the changing face of tech-based businesses across the globe. If you’re in tech, you won’t want to miss this event.